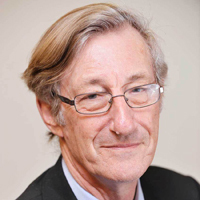 The former chair of England's cost-effectiveness body for medicines, Sir Michael Rawlins, has made a contentious move to the US biotech Intra-Cellular Therapies as member of its board of directors. Sir Michael was chair of the National Institute for Health and Care Excellence (NICE) from its foundation in 1999 up to April 2013, and his move from a public body to recommend medicines for use on the NHS to a private drug developer has raised some eyebrows about the potential for conflict of interest. As reported in the Financial Times, NICE's conflict of interest code does not cover periods after retirement, although Sir Michael told the newspaper he had discussed the appointment with the permanent secretary at the Department of Health who had approved it. “I no longer have anything to do with [NICE],” he told the FT, clarifying his future influence on the health technology assessment (HTA) body. Dr Sharon Mates, chair and CEO of Intra-Cellular Therapies, commented on the benefits Sir Michael's experience would bring to a company looking to take its late-stage antipsychotic ITI-007 to commercial approval. Sir Michael said he was “delighted” with his new appointment. He said: "ITI has set itself on a course to develop outstanding new pharmaceuticals to treat CNS diseases, surely an ambitious task, but one in which I am pleased to join and help." In addition to his former role at NICE, Sir Michael is the current president of the UK's Royal Society of Medicine. He was also professor of clinical pharmacology and a general physician at the University of Newcastle upon Tyne.